Off-shore platform. Author: OMV Petrom. Licence: All Rights Reserved. BUCHAREST (Romania), February 6 (SeeNews) - Romania's top oil and gas group, OMV Petrom [BSE:SNP], said on Wednesday it posted a 4.07 billion lei ($979 million/854 million euro) net profit in 2018, up by 64% against the previous year, and noted that local regulatory instability made it reevaluate its investment plans. "Recent regulatory instability has led us to revisit our growth investment plans, while we seek clarity on the Romanian investment climate," OMV Petrom said in its unaudited financial statement submitted with the Bucharest Stock Exchange, BVB. 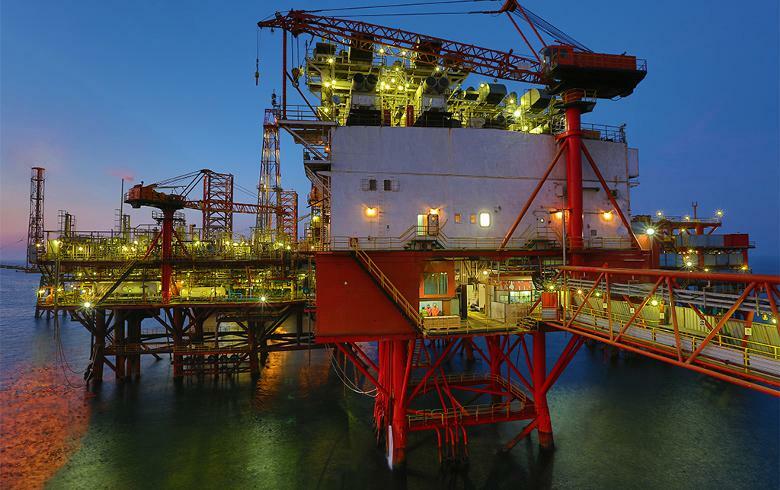 For the offshore site Neptun Deep, the current legislative environment does not provide the necessary prerequisites for a multi-billion investment decision, OMV Petrom noted. "We remain keen to see the Black Sea developed and we will continue the dialogue with the authorities to understand the way forward," it added. The company also said it plans CAPEX of around 3.7 billion lei for 2019, with the majority routed to Upstream. "Our focus remains on extracting the highest value from the existing Upstream portfolio, thus we estimate the daily average production decline to be contained at around 5% yoy, excluding portfolio optimisation," OMV Petrom noted. The group's consolidated sales increased by 16% year-on-year to 22.523 billion lei in 2018, driven by higher commodity prices and electricity sales volumes, partially offset by lower sales volumes of gas and petroleum products. Downstream Oil contributed 76% of total consolidated sales, Downstream Gas accounted for 22% and Upstream had a share of approximately 2%. In 2018, the group increased investments by 44% to 4.289 billion lei. OMV Petrom invested 3.150 billion lei in Upstream operations, 1.138 million lei Downstream and 1.112 million lei in Downstream Oil last year. Also, the company's executive board plans to propose a dividend payout of 0.0270 lei per share for 2018, up 35% on the year. Total hydrocarbon production shrank 5% to 58.3 million barrels of oil equivalent (boe) in 2018, while domestic production of crude oil and natural gas liquids dropped to 26.78 million barrels, 2% lower than the output in 2017. Exploration expenditures surged 98% to 433 million lei in 2018, as a result of the increased drilling activities in deep onshore exploration wells. In the downstream segment, the operating profit decreased by 5% on the year to 1.335 billion lei in 2018, reflecting the impact of the Petrobrazi six -week full-site planned turnaround in the second quarter and the lower refining margin, which offset the higher retail contribution. Total sales of refined products edged down by 2% to 4.99 million tonnes. Gas sales volume decreased by an annual 8% to 47.32 TWh, while net electricity output jumped 41% on the year to 3.82 TWh in 2018. OMV Petrom Group employed 13,201 people as at end-2018, a drop of 4% compared to 2017. In the fourth quarter alone, OMV Petrom's net profit surged to 1.411 million lei from 642 million lei in the prior-year period, driven mainly by higher sales revenues. Sales rose 25% on the year to 6.413 billion lei in the fourth quarter of 2018, supported by higher commodity prices and higher sales volumes of electricity and petroleum products, partially offset by lower sales volumes of natural gas. Shares in blue-chip OMV Petrom, the largest integrated oil and gas group in Southeastern Europe, traded 2.81% higher at 0.3470 lei by 1012 CET on the Bucharest Stock Exchange.